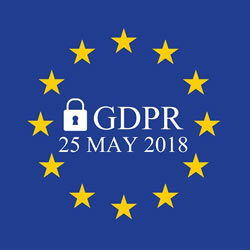 The New General Data Protection Regulation (GDPR) Is Now In Effect. Are You Prepared? If you keep records of personal data e.g. customer names, their phone numbers and their email addresses - this EU legislation is likely to affect you. For full information, download the 12-step guide Preparing for the General Data Protection Regulation (GDPR) from the Information Commissioner's Office.